Thursdays have become one of my favorite days of the week. I don't know if its the fact that its that much closer to the weekend, or it actually feels like the Friday! Anywho, here's some randoms for this week! 1. THIS. Just watch it. It's pretty much made my week. Even if you're not a cat lover, it's pretty great. 2. There is no way I should be doing anything, but studying right now. However, I find myself here. I find anything and everything else do to but study right when I need to... at least my test isn't until Tuesday! Procrastinators unite... tomorrow. 3. I haven't worked out since my fall out on monday... So I think I'm going to try to run tomorrow. My running goal this year was 1000 miles. I'm at 135 miles. and it's April. I think it'll be a big fail, but we shall see. Maybe the motivation will kick in..
4. BRUNCH. OMGoodness. Charleston has some of the best brunch places! If you find yourself here try the Early Bird Diner. 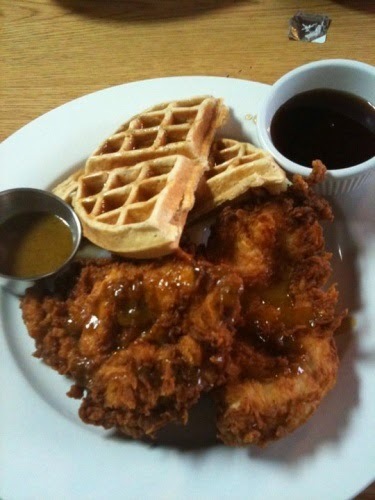 They have the signature fried chicken and waffles plate. The chicken is as big as your face. My husband gets this every time we go. I will be in attendance this weekend. 5. I miss home this week. 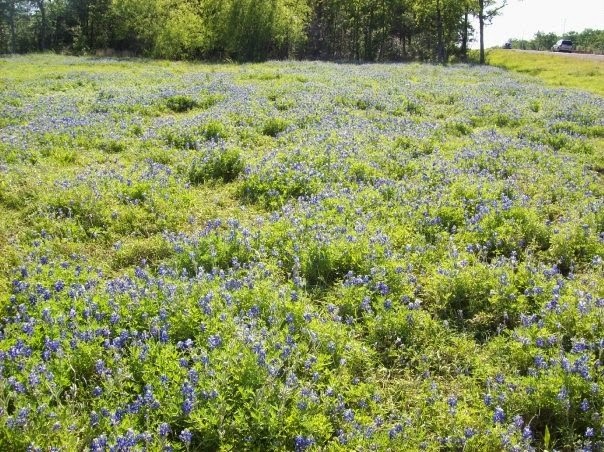 I don't get homesick that often, but in the spring we have bluebonnets. 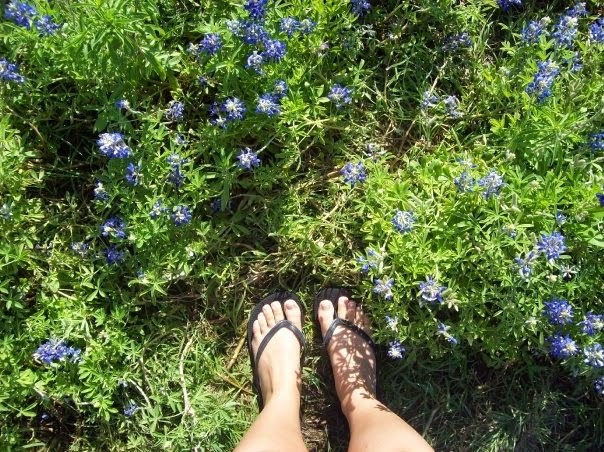 Seeing all the pictures of bluebonnets on everyone's Facebook makes me miss it all the more. OH and BBQ. Texan BBQ. There is something about everyone else's that just doesn't measure up. Sorry SC, but not sorry. 6. I'm really ready to get to the beach. This one that South Carolina wins, hands down. The beaches here are so gorgeous, all of them are so clean and well kept. Texas could take a few pointers... 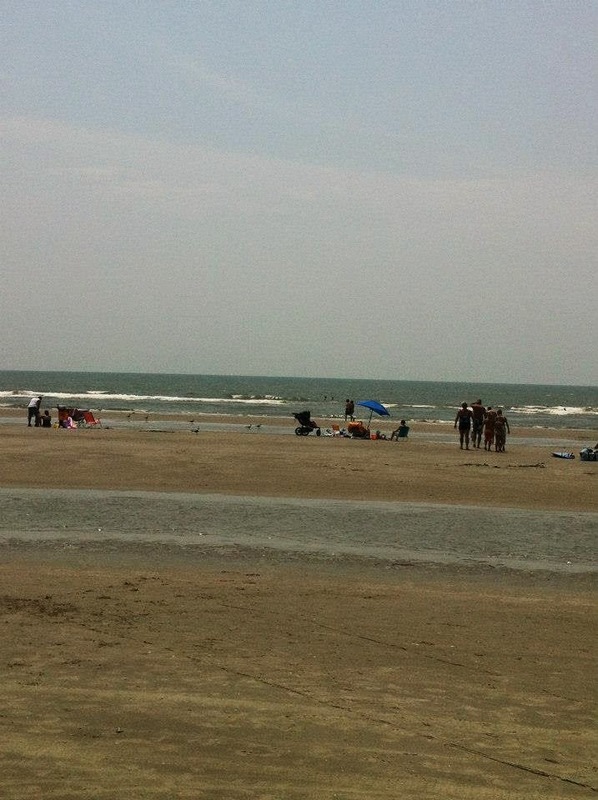 This summer will be my last one in Charleston. I intend to make the most of it! 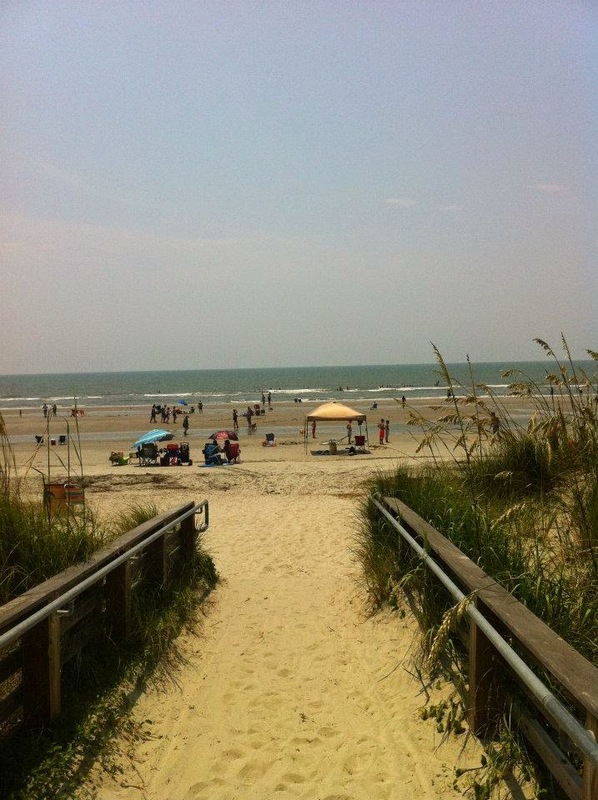 Can you say lots of beach time?! 7. I'm ready for this deployment to be over. Period. The cats can only entertain me so much. 8. What are people getting their mom's for mother's day?! I swear i've gotten my mom the same gift for 6 years in a row. I didn't even know the UK already had their mother's day! It was March 30th! How American of me to think all Mother's day was the same day everywhere. The more you know. 9. Has anyone ever gone crabbing?! I didn't even know you catch your own crabs. I'm talking about actual crustaceans. (lol) Apparently, people can catch them with nets and with BACON. After learning that you can attract crabs with bacon, I was definitely more interested in going crabbing. If you must know I have a crazy love for bacon. You can also use chicken necks. I'm sticking with bacon. 10. Anyone who reads this blog, must know that one of my all time favorite shows is New Girl. I can't help it. My husband and I love this show. Unfortunately for me, I promised my husband that when he comes home from his deployment, we would watch the next season together. So I must wait. WHY I DO THIS TO MYSELF?? I DON'T KNOW. UGH! 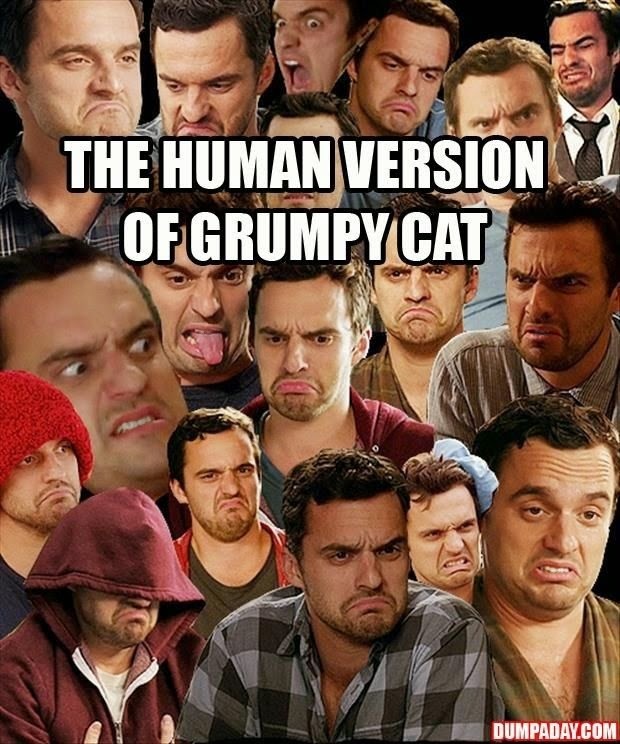 Anyone who watches knows that Nick Miller does in fact look like Grumpy Cat. And this concludes Thursday's thoughts. Happy almost Friday people. You're almost there. What is your go-to show? Do you have a favorite brunch spot in your area? 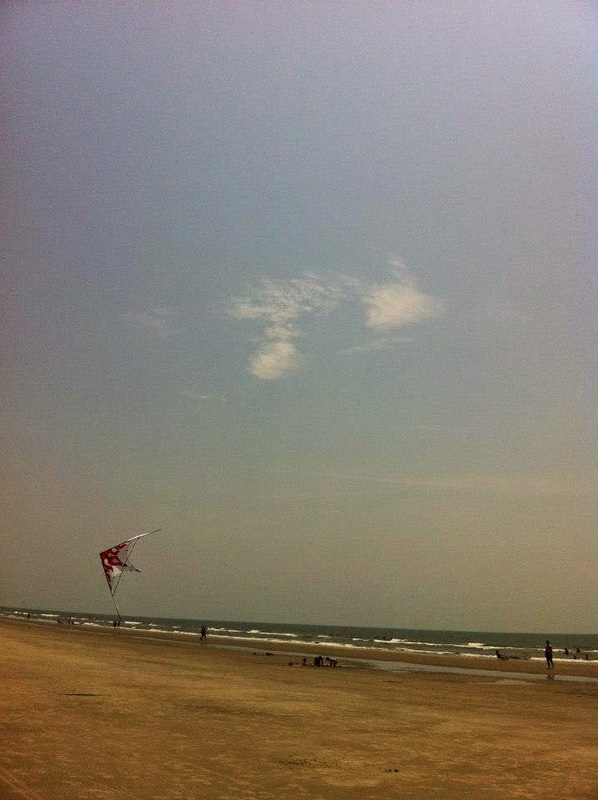 Any other favorite beaches out there? !